Microlith production is a distinctive and significant stone tool technology. However, inter-regional comparative analyses of microlithic industries are rare, and tend to homogenise these industries by focussing analytical attention on retouched tool typologies alone. 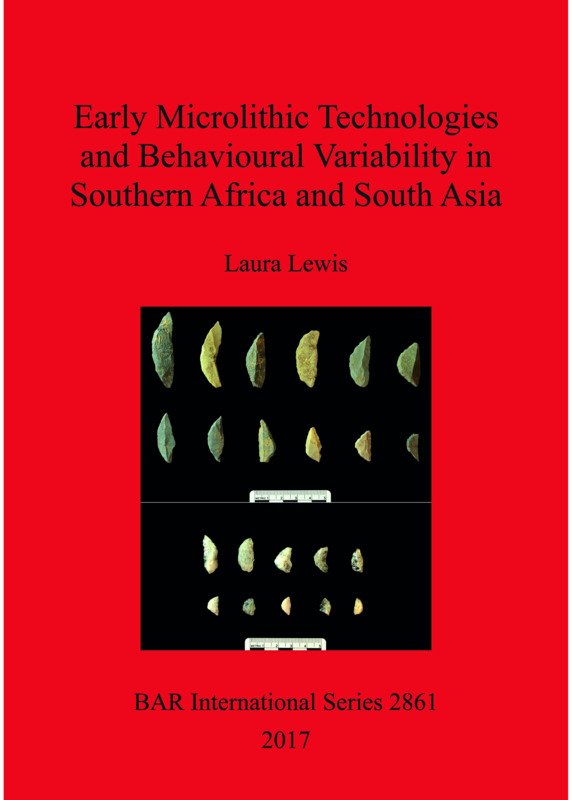 This volume provides the first demonstration and exploration of variability in two of the earliest microlithic industries in the world: the Howiesons Poort of southern Africa and the Late Palaeolithic of South Asia. Statistical analyses of the results of detailed attribute analyses reveal previously undocumented variability within and between sites, and over time, demonstrating that microlith production is not a homogenous technology. The results also provide evidence of the independent innovation of microlithic technology in the different regions. The implications of this variability for the long-standing debates concerning modern human behaviour and dispersals are explored. It is this behavioural and technological variability that is key to understanding our species. Laura Lewis studied Archaeology and Anthropology at the University of Cambridge before moving to the University of Oxford for her Master’s and DPhil in Archaeology. She now lives in London, where she joined the Civil Service as a statistician and policy adviser.